One basketball team on West End is winless in SEC play. The other just earned its first conference victory tonight. Take a guess as to which one was the team to win. Feel free to phone a friend or look at all the Twitter rants complaining about Clevon Brown’s “hook-and-hold” flagrant foul from last night before answering. Yep, that’s right. 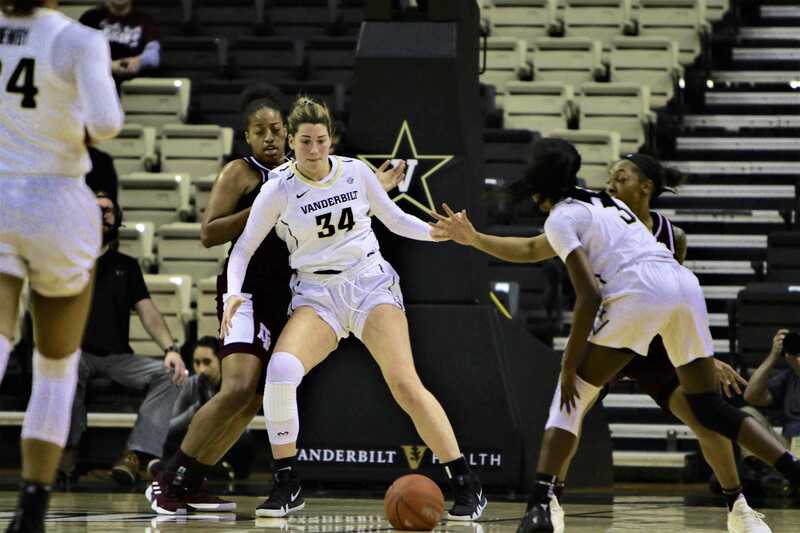 The Vanderbilt women’s basketball team earned a hard-fought home win over Ole Miss 80-68. Ole Miss entered the game riding a two-game win streak, but the Commodores were ripe for a victory after a narrow two-point loss to Auburn last week. LeaLea Carter scored ten of Vanderbilt’s first 14 points. The junior guard scored 20 points on the night after averaging just 1.4 points per game last season. This year, she’s playing almost 30 minutes a game and averaging almost nine points in that time. Chelsie Hall, Brinae Alexander, and Jordyn Cambridge all came off the bench after missing the Auburn game. A week of rest surely helped the banged-up team heal a little bit. After only having six available scholarship players last week, Vanderbilt rotated nine players. Hall has seven points and four assists in 18 minutes. This squad needed this win perhaps more than the men’s team. Coming into the game with just five wins was disappointing for a team who, while short on depth, was not short on passion or talent by any means. Star forward Mariella Fasoula was finally eligible this season after sitting out last year due to NCAA transfer rules. Fasoula has averaged 17 points and 7.6 rebounds per game and is the heart of the team. She scored 19 points and grabbed nine rebounds, and she physically dominated the Rebels’ forwards. Led by Fasoula, Vanderbilt dominated the paint against the Rebels. 40 of Vanderbilt’s 80 points came from inside the paint, while Ole Miss only managed 20 points in the paint. Going forward, White needs to emphasize getting the ball down low and letting Fasoula and Autumn Newby fight their way for points or draw fouls. Newby scored 14 points, six of which came from the charity stripe. Star freshmen Brinae Alexander and Jordyn Cambridge have dealt with injuries all season, but both played significant minutes tonight. Once both are fully healthy, the duo can wreak havoc on opposing defenses with their incredible chemistry. The best friends first played basketball together in fourth grade. The defense did not let up as Vanderbilt’s lead began to build. The Commodores held guard Crystal Allen, one of the SEC’s leading scorers, to 26% shooting from the field. Vanderbilt will face No. 19 South Carolina on the road in a few days and will try to maintain this momentum.